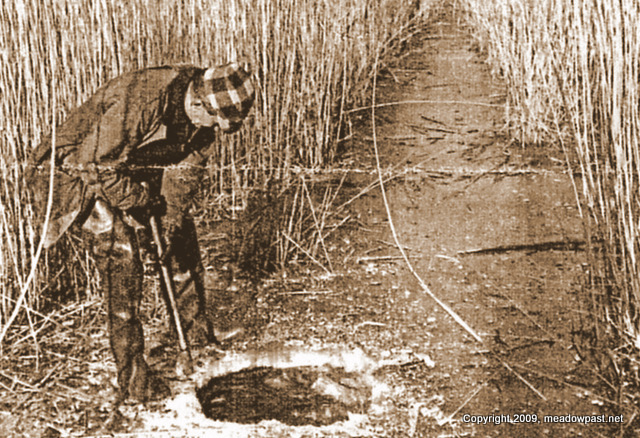 Late last month, several old-time Muskrat hunters convened at a Carlstadt restaurant to talk about the good old days of muskrat hunting — as far back as 60 years ago. The Meadowlands Oral History Project. Click here for the link to the post. If you have not checked out the blog yet, it's worth seeing (and hearing). Several of the posts are audio files, and you can listen to long-time Meadowlands resident talk about the region, in their own words, in their own voice. Link to the blog is here. www.meadowpast.net.